These fat little guys are always abundant in a favorite spot to look for Grand Canyon rattlesnakes. 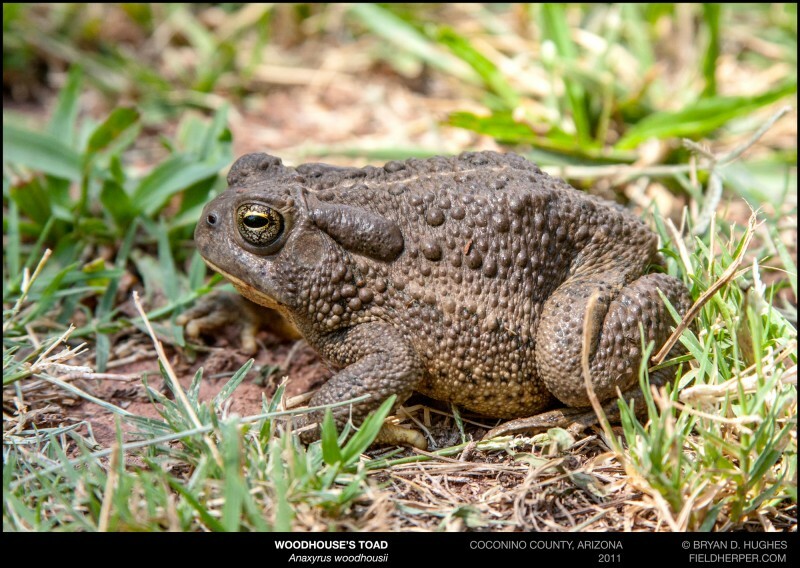 Of all the Woodhouse toads I’ve seen, this locale is the most bland and monotone, but lazy afternoons after a long morning of canyon hiking produces some photography time. This entry was posted on Tuesday, July 1st, 2014 at 8:33 am	and is filed under Amphibians, Toads. You can follow any responses to this entry through the RSS 2.0 feed. You can leave a response, or trackback from your own site.